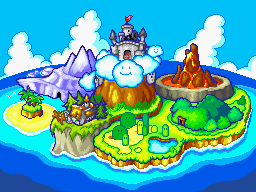 Gleam Glacier is the sixth area in the game Super Princess Peach, coming right after Wavy Beach. 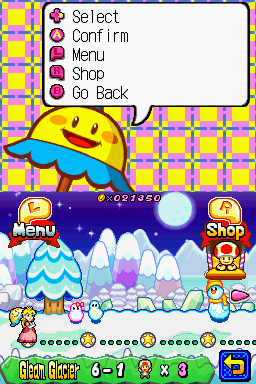 As its name implies, it is an ice-themed world. The boss that is fought at the end of Gleam Glacier is Blizzaurus, a snow dragon. Once Blizzaurus is defeated, Giddy Sky can be accessed. This page was last edited on February 14, 2019, at 07:26.